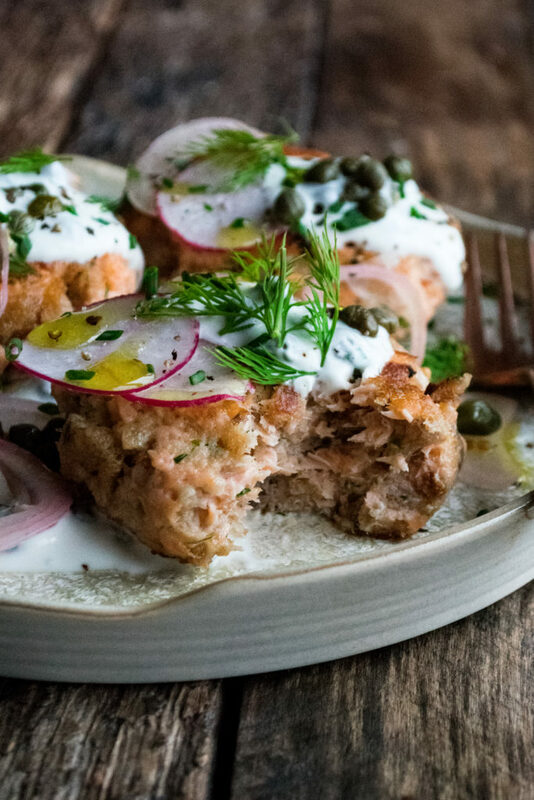 Crispy, healthy rye salmon cakes so tender and juicy with tons of fresh herb flavor, topped with tangy pickled shallots and briny caper yogurt. This is my new favorite weeknight dinner that is absolutely irresistible. I had created this recipe almost a year ago and just never got around to publishing it. But, it has made an appearance in my kitchen many, many times since and for good reason! These rye salmon cakes are kind of everything you could want in a weeknight dinner. 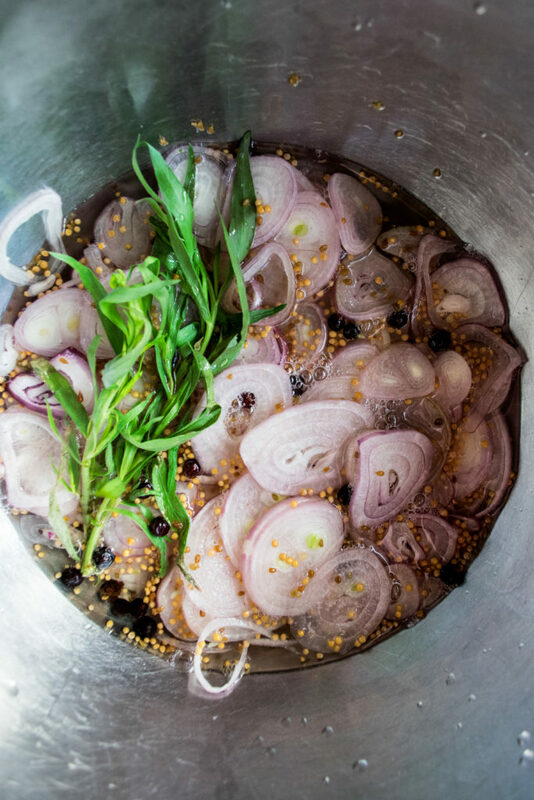 Okay yes, the pickled shallots are somewhat of an extra step or two…but once you make them they’ll last for a couple of weeks and you can use them up on so many different things. They’re sharp, tangy, and slightly sweet, and work perfectly with the crispy salmon cakes. 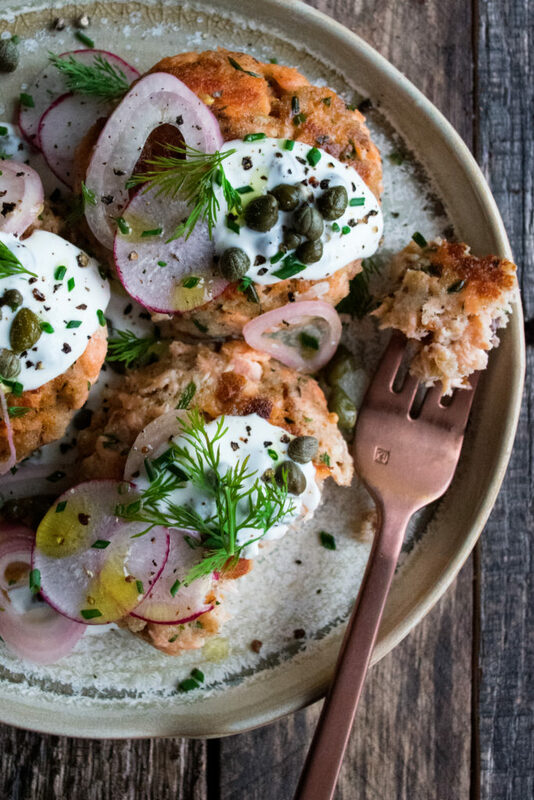 I’m using fresh rye breadcrumbs and a bit of Greek yogurt to keep the texture of these salmon cakes extra rich and luscious. When really, this is just as healthy of a dish as I think it gets! 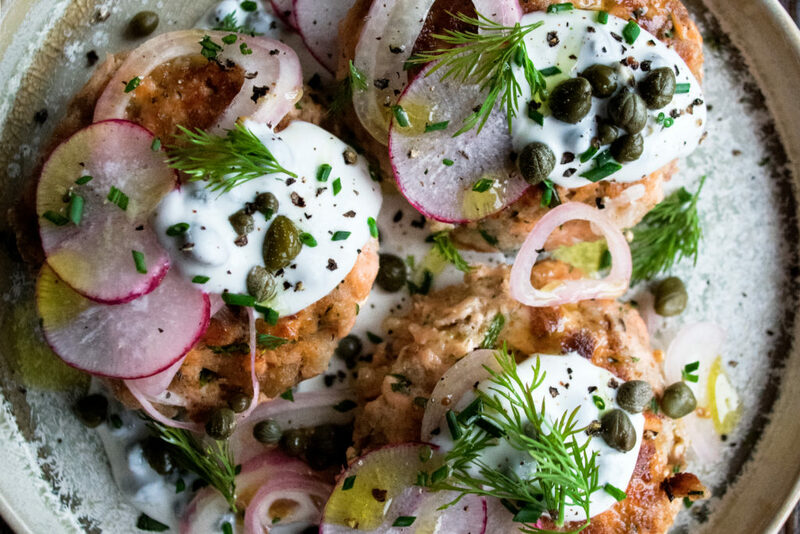 The yogurt is a perfect substitute for mayonnaise or sour cream, and I honestly think it does an even better job of flavoring and giving lots of texture to these salmon cakes. 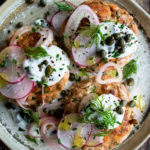 I garnish them with lots more fresh flavor – a few shaved radishes, some fresh dill, extra capers, a squeeze of lemon juice, and a drizzle of good olive oil. What I’ve been doing is making a batch of these, along with these roasted carrots, and only garnishing what I’m eating that night right away. 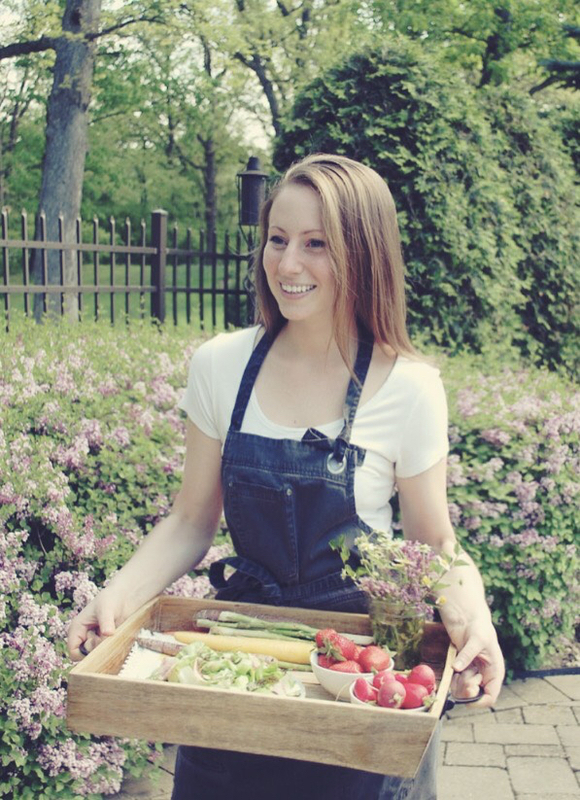 I’ll then wrap up the extra salmon cakes and carrots and store them in the fridge, with the garnishes all separate. 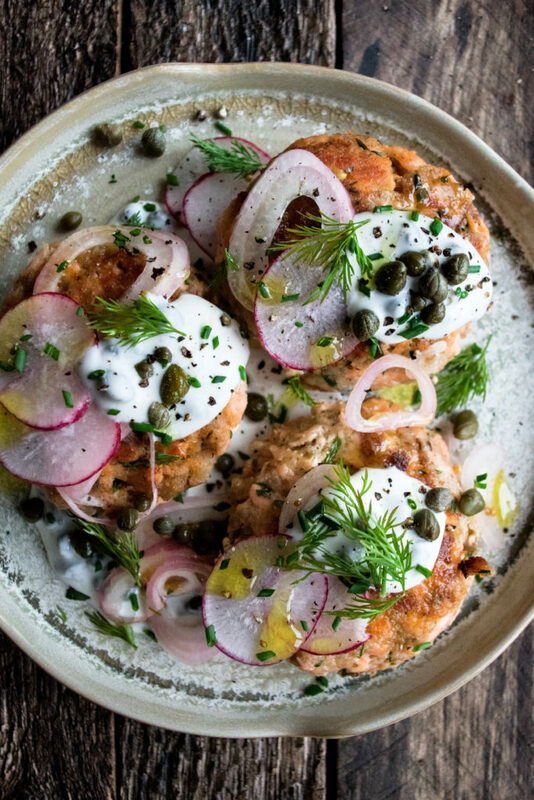 Then whether it’s for a lunch or dinner, I just heat both the salmon cakes and the carrots up, top them with fresh garnishes, and you’ve got absolutely delicious meals all week long.